Officers present at the apartment building. Photo courtesy the RCMP. PORT ALICE, B.C. – A suspect will remain in jail over the weekend on charges in a Port Alice explosion. 73-year-old Leon Nepper appeared in Yukon Court Friday afternoon. He is facing charges of sending an explosive device with intent to cause bodily harm and illegally possessing an explosive device. Whitehorse RCMP arrested Nepper in relation to a package that was delivered and then exploded in Port Alice on Tuesday. Police believe the attack was targeted. The homeowner who opened the package, Roger Nepper, received serious but non-life threatening injuries and was taken to hospital. Roger’s wife, Shirley Bowick, previously said the package was picked up from the Post Office in the remote North Island village, addressed to the couple. Bowick told MyPowellRiverNow.com she believed her husband’s brother sent the package and the incident was tied to a dispute over money. The explosion blew off Nepper’s fingertips. Bowick said she had received a few burns from the first explosion, while her husband got the brunt. She called 911 while clearing out the smoke from the bathroom where the package had been opened. 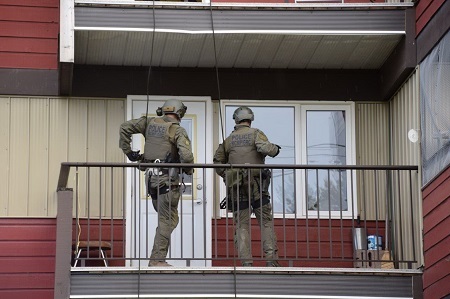 Out of an abundance of caution, the Whitehorse RCMP asked residents of an apartment building located at 4th Avenue and Lambert Street to temporarily relocate while officers conducted a search related to the active, ongoing investigation. They later arrested Leon Nepper. “Our first priority was to the safety of the residents in the building,” read the release sent out by the RCMP. The incident remains under investigation and Nepper will be kept in custody until his next court appearance on Monday.